Hello! First time poster here. I apologize if this query is in the wrong place. Does anyone know what ammunition the 7,5 cm Kanone L/41 (L/40.8) may have used? Since the first ones came out in 1934 (Modell 1), they would have pre-dated the KwK 37, to say nothing of the KwK 40 and Pak 40. The second pattern of vehicles were used in combat, I guess ammunition was made specially for them and shipped to North Africa? 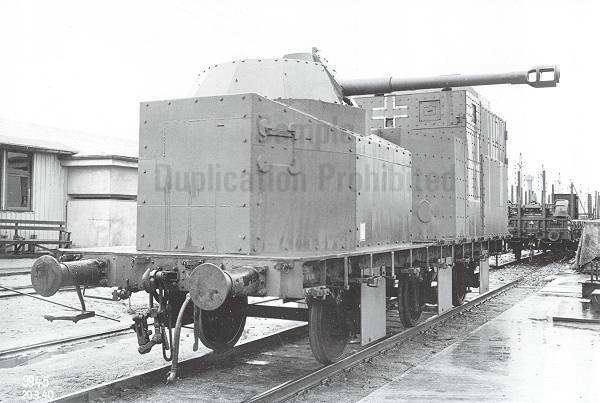 I know at least one of the earlier turrets made it on an armored train, too. I find it unlikely they'd have been rechambered for ammunition that had become standard at that point, but I guess it's possible. Last edited by Logan; 01.02.2019 at 19:16. A very good question! Though I have no real answer. Unfortunately I have no solid data as for the 75x514R (case number 6310 "sfL") and it's adoption date (and the projectile was the model of 1938 what would not fit). But maybe it is a candidate? @Alex: wasn't the 6310 case for the Stu.G. lg 7,5 cm K. ? ...the ammunition types seem to line up. In fact, the Sprgr. Patr. 34 listed in the manual shows that the HE round was dated 1934, which lines up perfectly with the first vehicles. The markings on the cases in the .pdf are '41-'42, which lines up with its North African service. Some have proposed that that ammunition was for a Krupp gun. 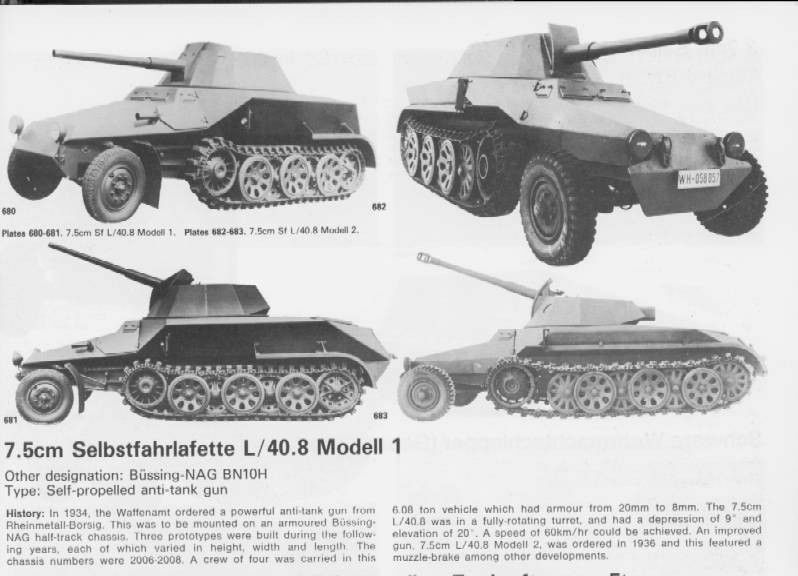 The halftracks were built by Rheinmetall, however, and they are purported to have been armed with a Rheinmetall-Borsig 7.5 cm gun (which would make sense). The "K" in the designation may have nothing to do with Krupp, then. There are still some unsolved mysteries here, but I think that's as good a guess as any. Marcel, yes as per the Hülsenringbuch. The cases have the hs "6310 sfL". Actually this is a cartridge which is still puzzling me. Do you happen to know in which guns and vehicles it was actually used? I think that's as good a guess/candidate as any? If so, that may explain its reportedly good anti-armor performance. Reading through: D.420-152 Anfertigen der Munition des Stu. G. lg. 7,5 cm K. (1942).pdf ...the ammunition types seem to line up. In fact, the Sprgr. Patr. 34 listed in the manual shows that the HE round was dated 1934, which lines up perfectly with the first vehicles. The markings on the cases in the .pdf are '41-'42, which lines up with its North African service. Interesting that you are mentioning Africa! The only case/cartridge I know of is also dated 1941 and was/still is (?) located in South Africa. Maybe captured by RSA troops in the theatre. Then still wondering what we (Germany) were using in terms of guns firing these. I think we may have answered that in this thread. The Panzer-Selbstfahrlafette II Hornisse, or in full, 7.5 cm Kanone L/41 auf Zugkraftwagen 5t (HKP 902). 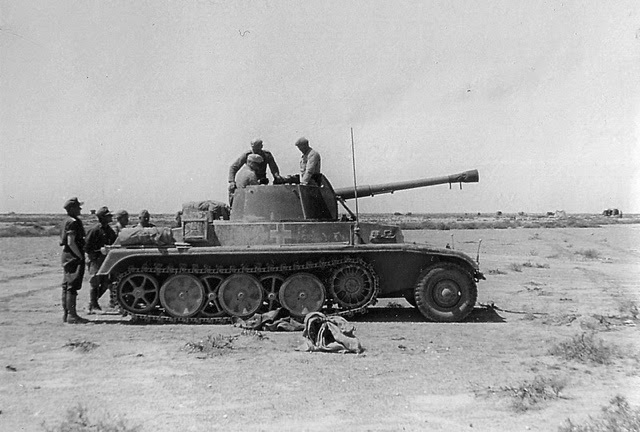 The two prototypes were completed in 1941 and they were organized into a platoon for troop trials with Panzerjäger-Abteilung ("Anti-Tank Battalion") 605 of the Afrika Korps. The first vehicle was reported received on 17 January 1942 by Panzerjäger-Abteilung 605, but the second was not reported as arrived in Tripoli until 23 February 1942. The platoon was transferred to the Kampfstaffel des Oberbefehlshaber Panzerarmee Afrika (Rommel's personal battle group) on 8 March 1942. Only one vehicle was reported operational on 25 May at the start of Operation Venezia during the Battle of Gazala; the other had been captured by the British, shown in undated photographs. Shortly afterwards, on 5 June, the Kampfstaffel reported that the other vehicle had been lost after knocking out three tanks. No further references were made to the Pz.Sfl. II. We know at least one vehicle was captured, so I guess they were left with their original guns (as suspected), and sent with at least some new production ammunition (it must've been a small batch) to North Africa. Again, I would question whether the 6310 gun/ammunition was a Krupp product, however. Otherwise, all the other pieces fit from what I can see. Interesting where this captured vehicle went then. I never saw one reported to be in a museum or so. I doubt it survived the war. It was probably scrapped during the war or shortly thereafter.